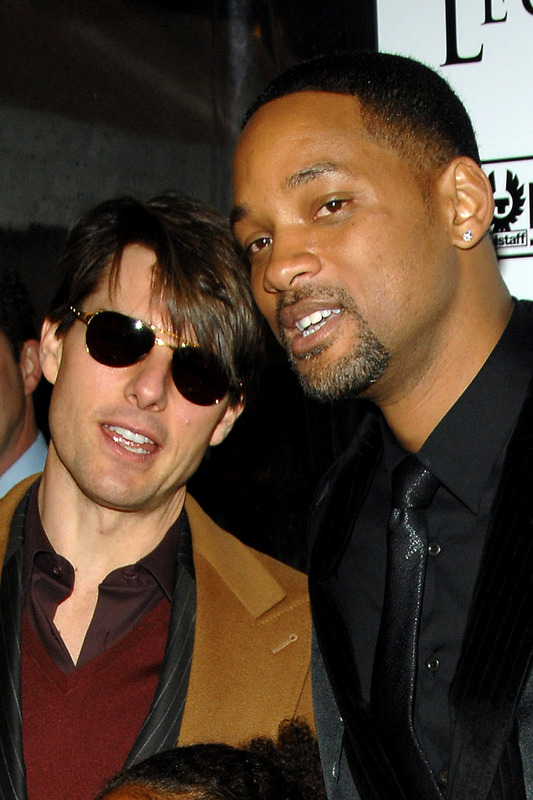 Tom Cruise and Will Smith attended the I Am Legend movie premiere in New York City. 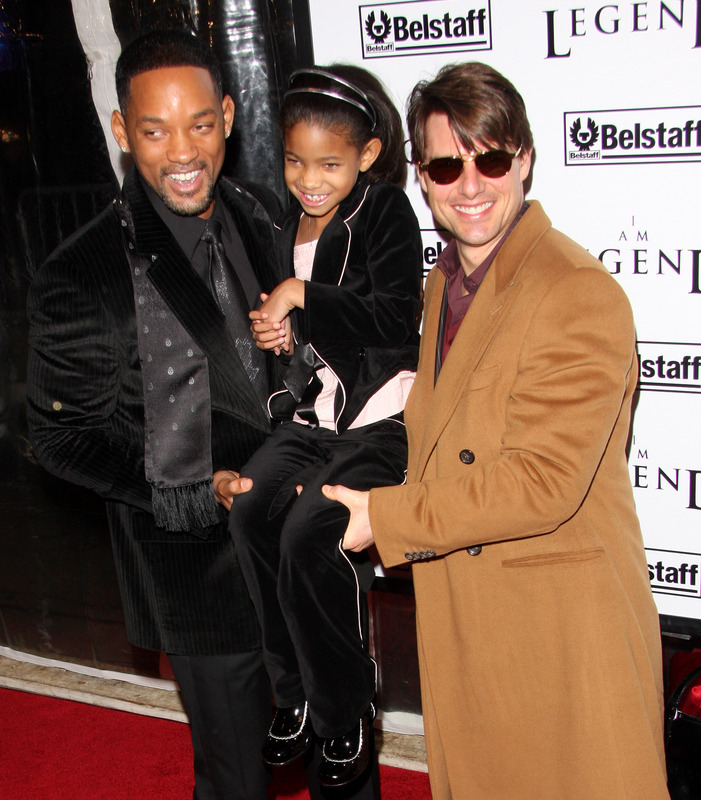 Will Smith and Tom Cruise hold up Will’s daughter, Willow, at the I Am Legend movie premiere in New York. Actors Tom Cruise and Will Smith attended the I Am Legend film premiere in NYC in 2007. 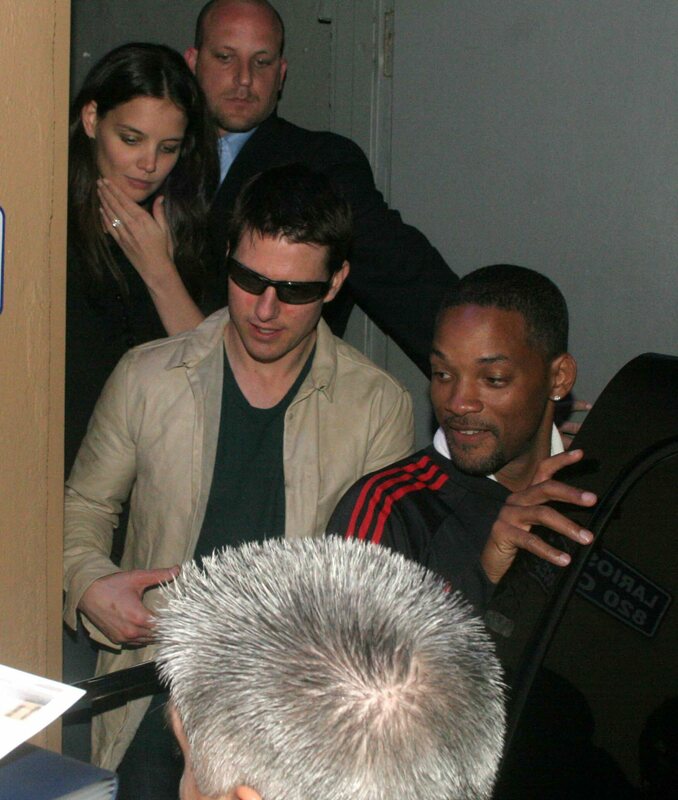 Tom Cruise and Will Smith clowned around at the I Am Legend movie premiere in New York City in 2007. Will Smith, his daughter Willow, and fellow actor Tom Cruise horse around on the red carpet at the New York premiere of the film, I Am Legend. 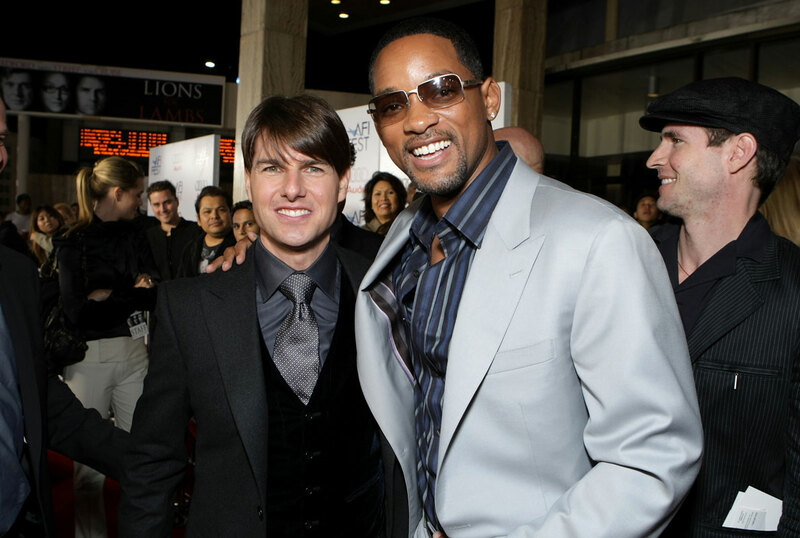 Tom Cruise and Will Smith had a great time on the red carpet of the I Am Legend movie premiere. 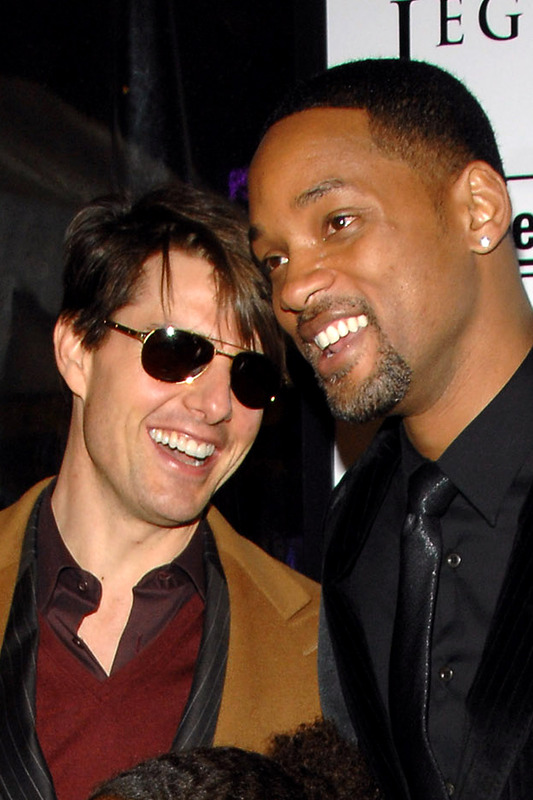 Cruise wore classic aviator sunglasses, while Smith donned diamond earrings and velvet suit. 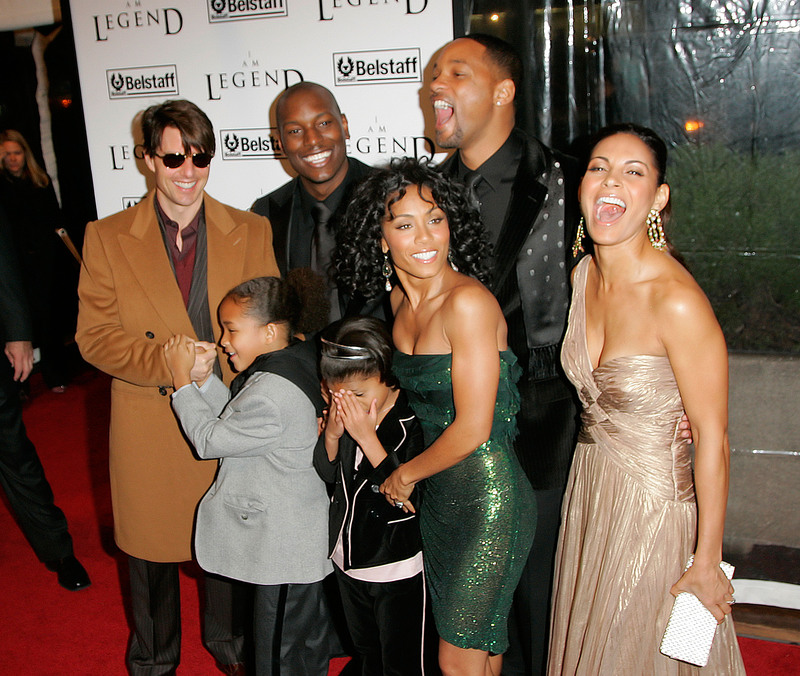 At the I Am Legend premiere in NYC, Will Smith brought out his whole family including wife Jada Pinkett Smith. 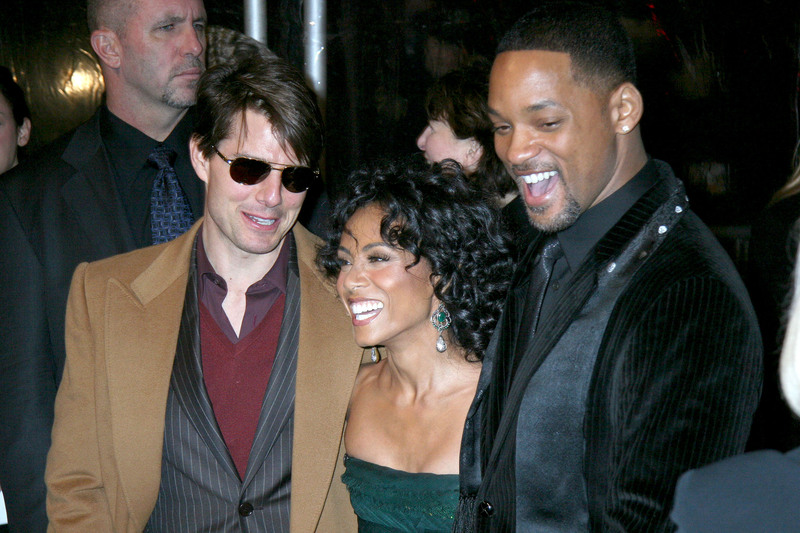 Here the beautiful Jada is sandwiched between her husband and Tom Cruise. Will Smith and Jada Pinkett Smith (along with their two children) were joined on the red carpet by many other celebrities at the I Am Legend premiere in New York. Here Tom Cruise, Salli Richardson and Tyrese laugh and pose for pictures with the Smiths. 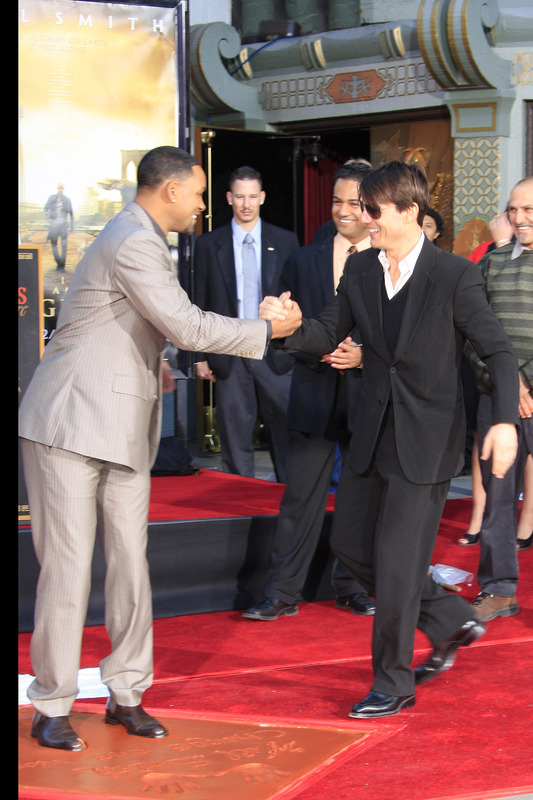 At the Los Angeles premiere of the movie, I Am Legend, stars Will Smith and Tom Cruise shake hands outside on the red carpet. Will Smith and Tom Cruise attended the Los Angeles movie premiere of I Am Legend at Grauman’s Chinese Theatre in Hollywood. 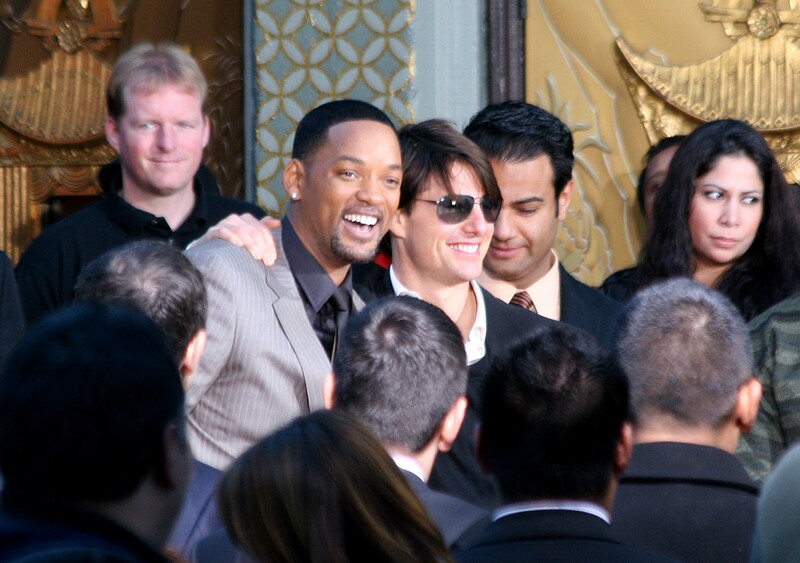 Will Smith and Tom Cruise were at the movie premiere of I Am Legend at the historic Grauman’s Chinese Theatre in Hollywood. The two actors smiled to the crowd and posed for photo ops. 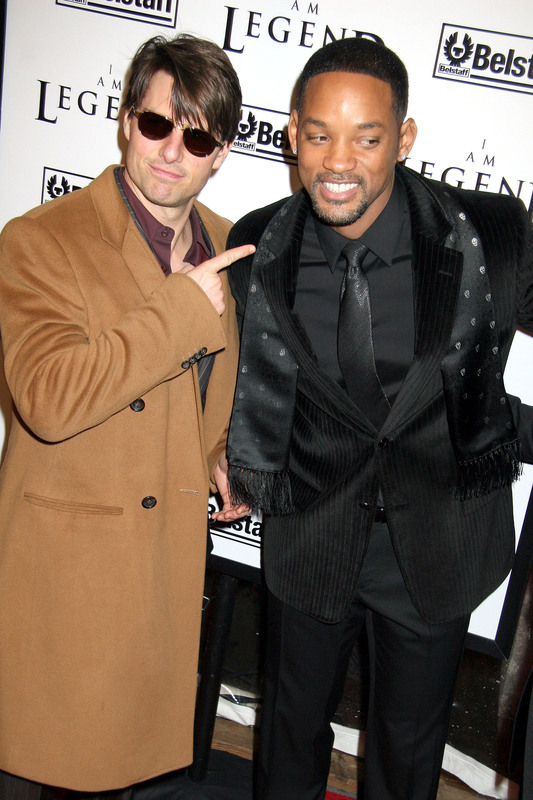 At the Los Angeles premiere of the movie, I Am Legend, Tom Cruise takes a picture of Will Smith with a fan. The event took place at Grauman’s Chinese Theatre in Hollywoood. Actors Will Smith and Tom Cruise laugh it up on the red carpet of the Opening Night Gala Presentation of Ã¢â‚¬Å“Lions For LambsÃ¢â‚¬Â? at AFI FEST. Tom Cruise and his wife Katie Holmes, along with Will Smith and his wife Jada Pinkett Smith threw a huge party welcoming Victoria and David Beckham to Los Angeles. The three couples are some of the most powerful duos in L.A. Katie wore a long red gown while the other two ladies wore short, black dresses. Katie Holmes and husband Tom Cruise, along with Will Smith, head through the airport. 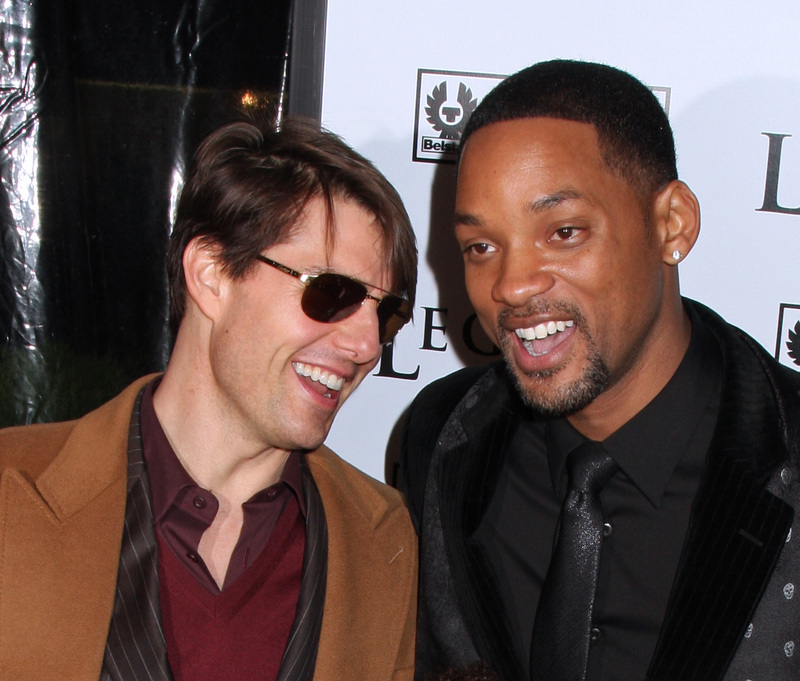 Will Smith and Tom Cruise meet up on the red carpet at the War of the Worlds premiere. 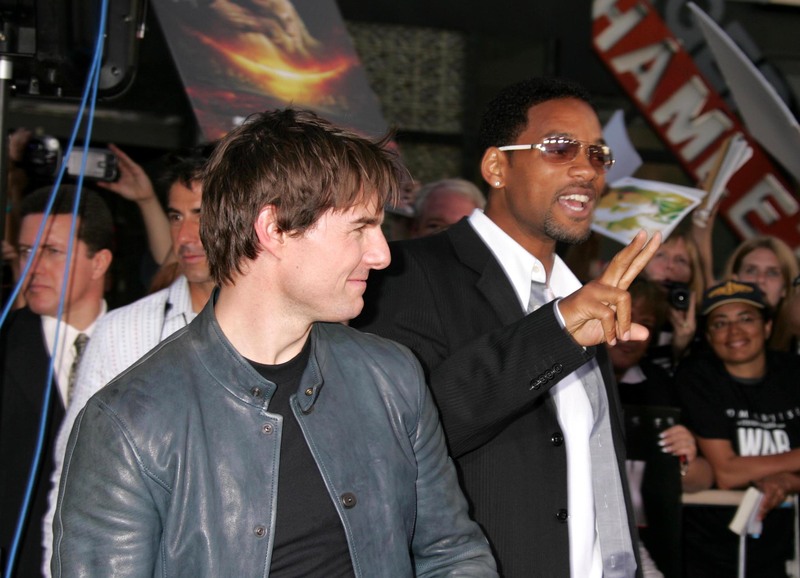 Will Smith and Tom Cruise horsed around on the red carpet at the premiere of the movie, War of the Worlds. Both actors wore jeans to the event. 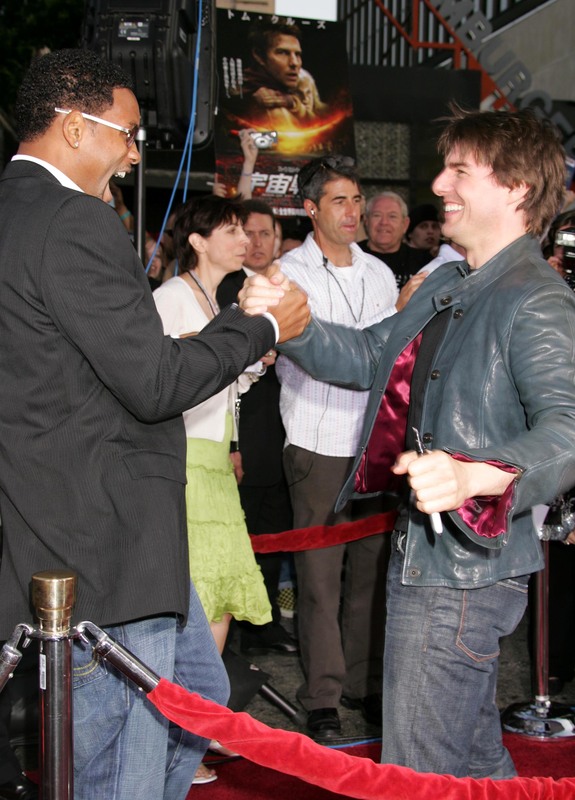 Tom Cruise and Will Smith greeted and entertained the crowd the movie premiere of War of the Worlds. 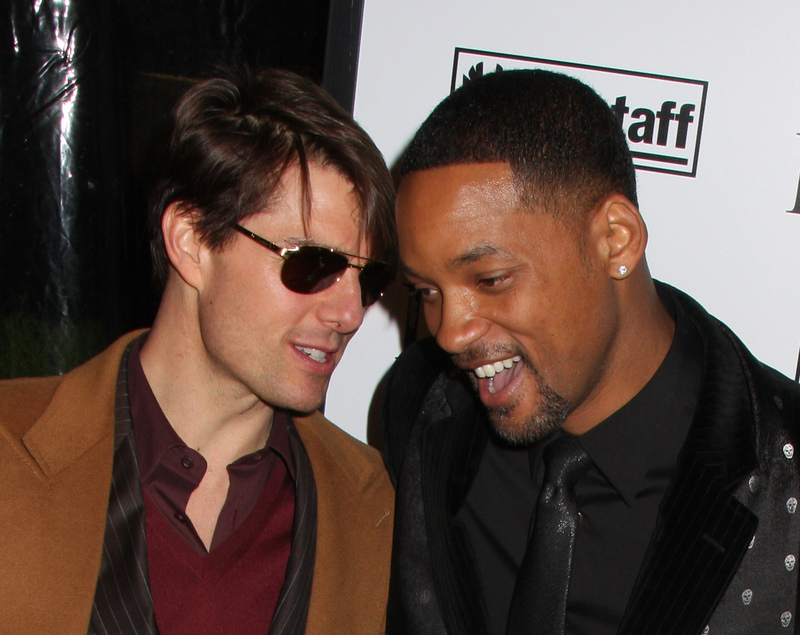 Tom Cruise and Will Smith at AFI FEST 2007. Both actors looked stylish in their suits. Tom Cruise, Katie Holmes, Stevie Wonder and Will Smith at the BET Awards in Hollywood in 2005. 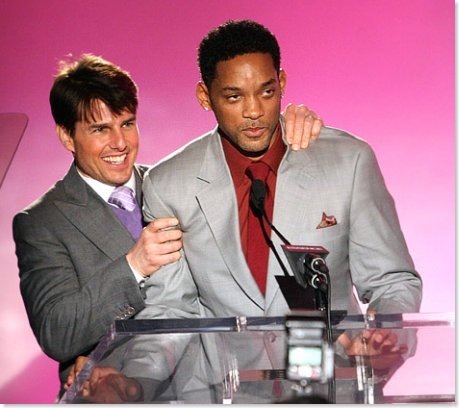 Tom Cruise and Will Smith have taken home many awards, as well as presented them. The two actors are good friends and often hangout, along with their wives, Katie Holmes and Jada Pinkett Smith. 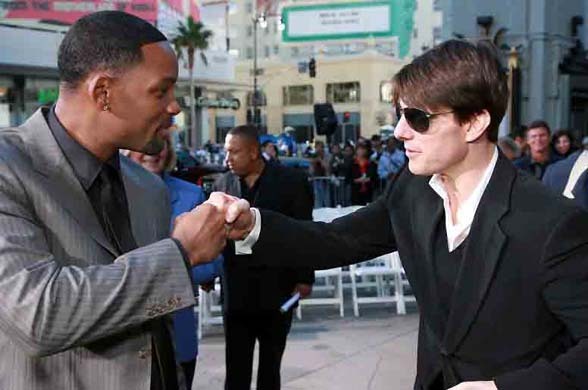 Tom Cruise gives a fist pound to friend and fellow actor, Tom Cruise. The two actors are some of the most powerful, popular and rich in Hollywood. 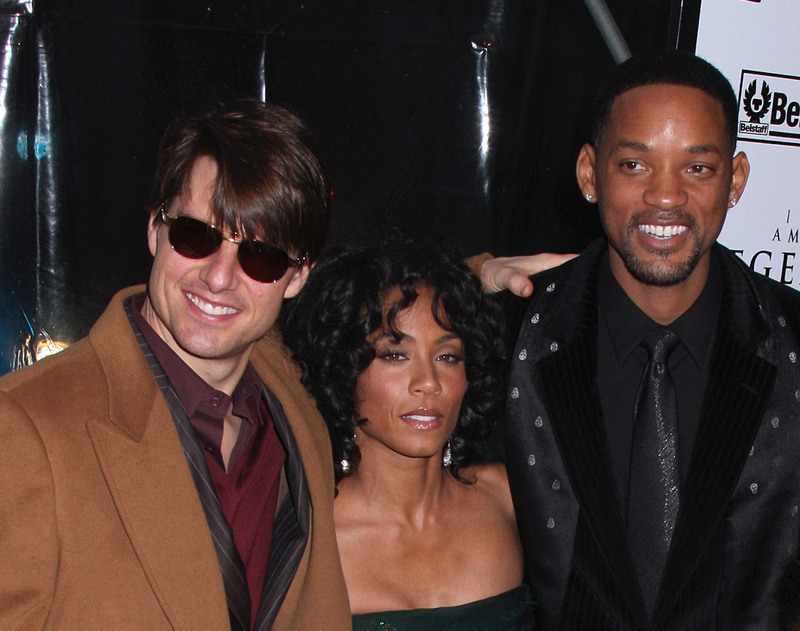 Tom Cruise, along with Jada Pinkett and Will Smith, attended the I Am Legend movie premiere in New York. The Smiths also brought their two children to the event.